Shirts | New Image Inc.
Halloween is 10 days away! Do you know what you’re going to be? If you are looking for some last minute costume ideas, check out this Pinterest board where we have compiled some of our favorite Halloween t-shirts. If you are looking for something custom-made, give us a call. Our production time will be between two and six days, so there is still time. 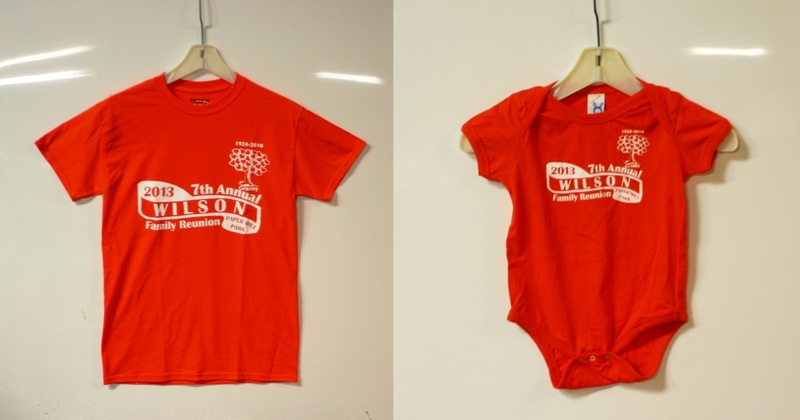 Have you ever wondered how t-shirts are produced? 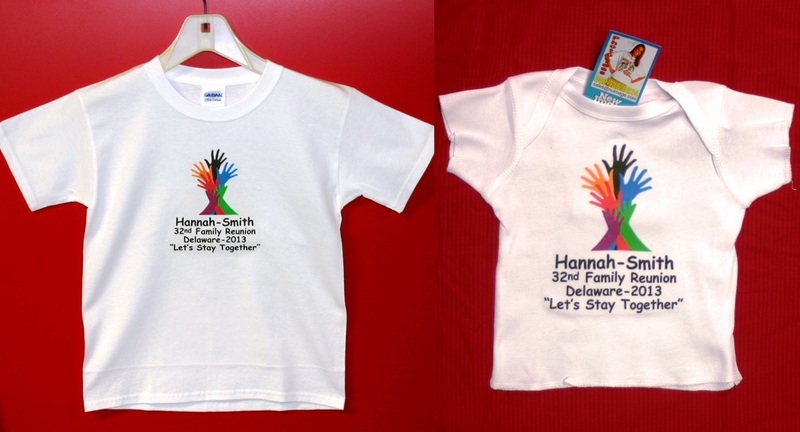 Before they reach us for printing and decoration, fabric has to be cut, dyed, sewn and compiled into t-shirt shapes. 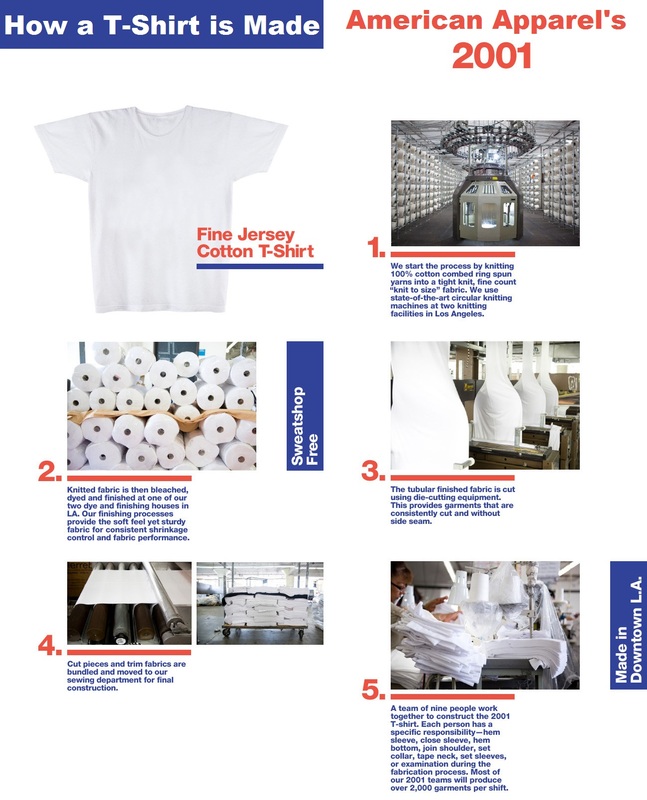 The other day, we received an email from American Apparel with an interesting graphic about how they put together their most popular standard t-shirt, the 2001. Now, we carry many brands, so all of our apparel is not American Apparel and not all of it is produced exclusively in the U.S. While American Apparel and several other brands including LAT and Bella produce their garments in America, other brands make shirts partially in America and partially in Mexico. According to the tags on the Jerzees and Hanes shirts in our showroom, the materials for those shirts were made in the U.S. and compiled in Mexico. 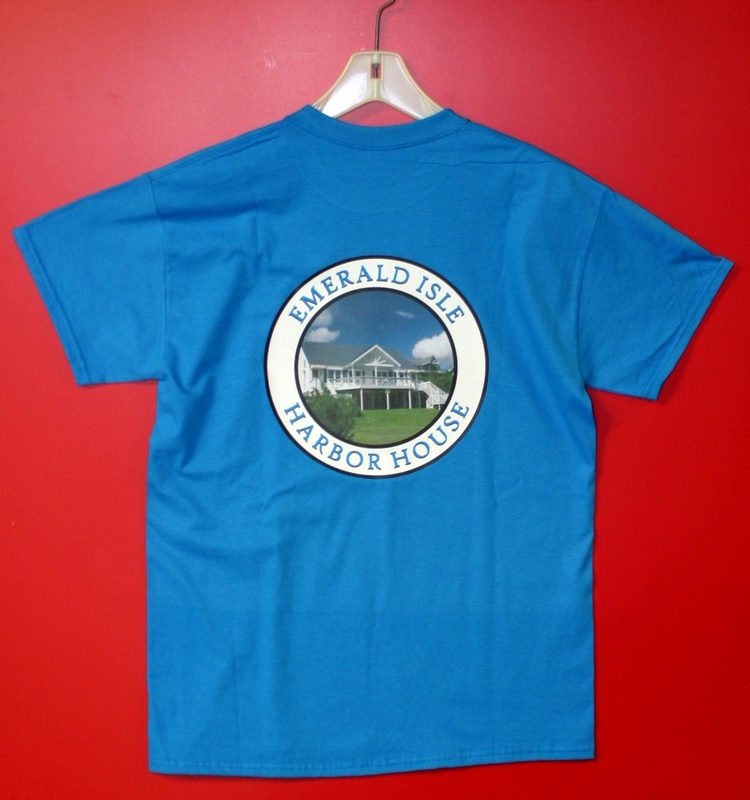 Other brands’ shirts are made in various countries in Central America, primarily Honduras (Gildan, Anvil, Delta), Nicaragua (Gildan, Anvil, Next Level), Mexico (Augusta), and El Salvador (Next Level). Some brands including Delta Apparel and Anvil have lines of shirts made exclusively in the U.S. 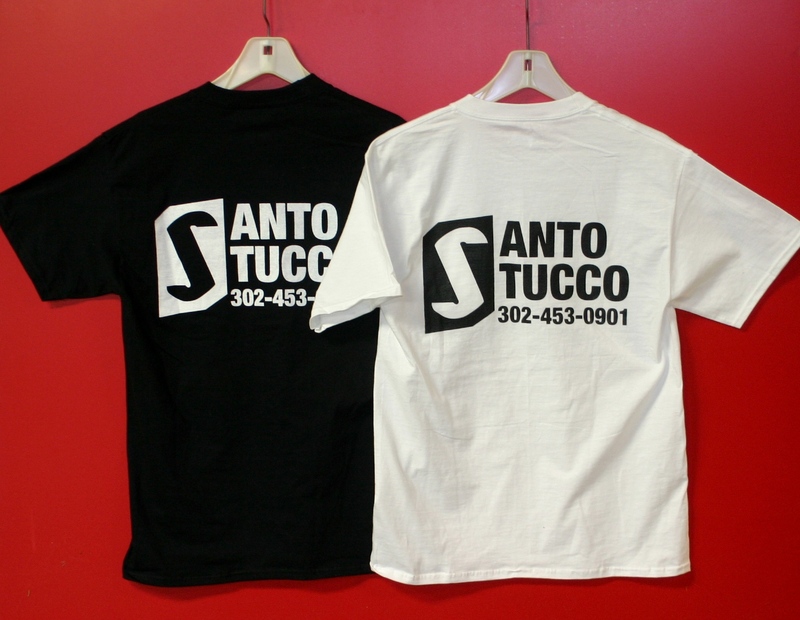 The highest volume shirt we sell is Gildan. Information on their factory conditions is available here. 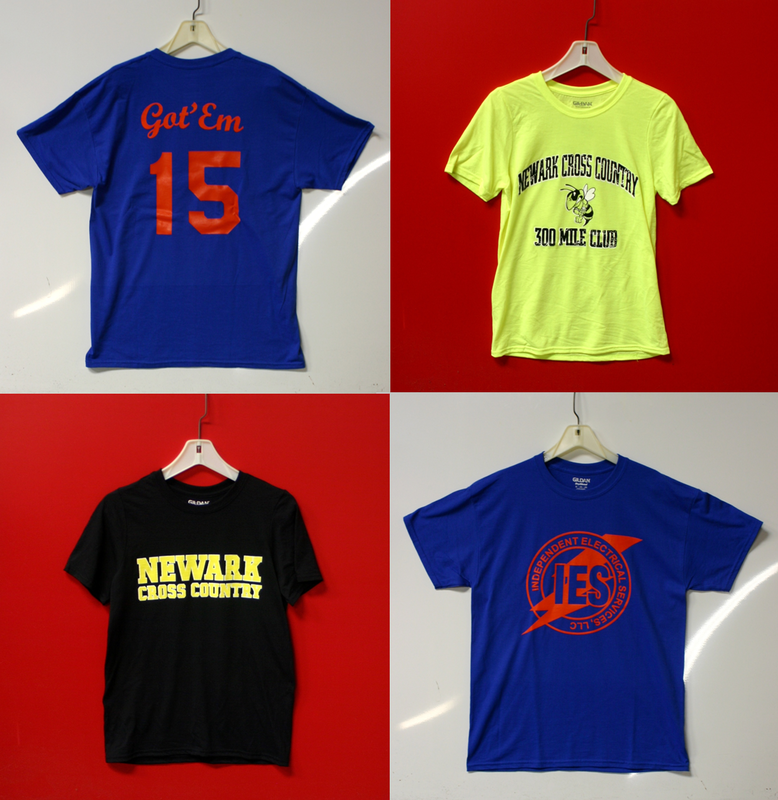 All of this is garnered from a very rough, non-comprehensive survey of the t-shirts our showroom, some of which may be quite old so keep that in mind. Hopefully you find this as interesting as I do!